I'm off to New York City for a few days... but check back next week. You won't believe who our next Veggie Hero is, plus we'll have an exclusive report from the Human Society of the United States' conference "Taking Action for Animals" and my tales of veggie dining in the big apple! If you don't own Robin Robertson's cookbook, "Vegan Planet," run out and buy one today. Then you'll begin to understand why she's this week's Veggie Hero. This classic tome has been called the vegan "Joy of Cooking." No wonder! It's filled with more than 400 recipes and other great information to help make vegan living easy and delicious! Robin is the author of 11 other great cookbooks and has been a chef, caterer and cooking teacher in addition to her food writing career. 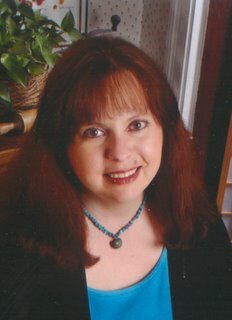 You might recognize her by-line as the author of "The Global Vegan" column for VegNews Magazine. 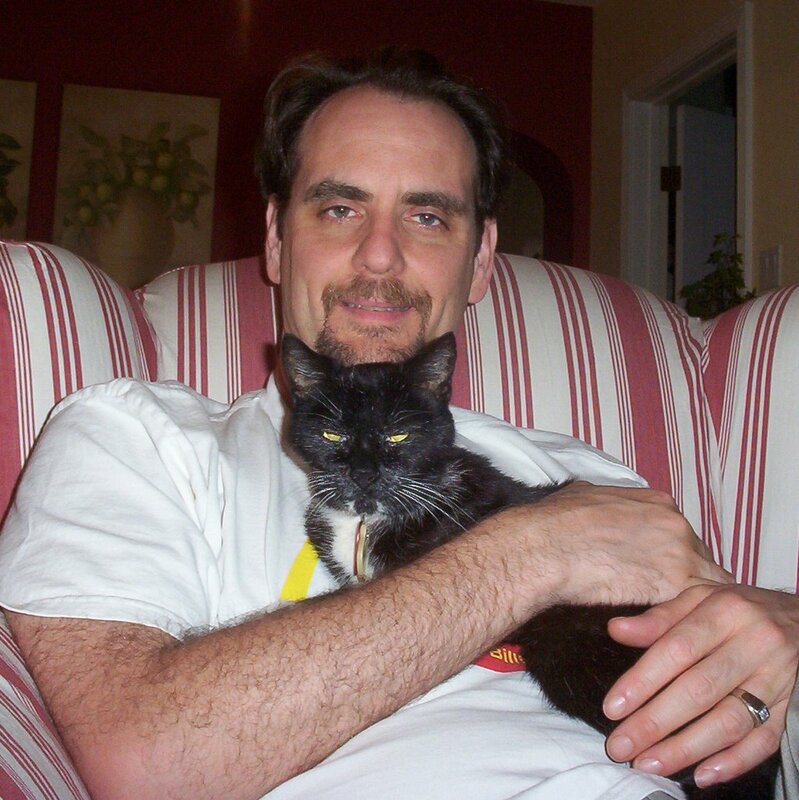 Robin lives in Virginia Beach, Virginia, with her husband and their two cats. A family gathering where one relative encouraged me to eat "just a little bit" of chicken (as if that would make it okay) and the hostess made me a "special" spinach salad so I'd have something to eat -- but put BACON dressing on it. And these were people who were supposedly understanding and aware of my food preferences. I have much better luck at restaurants! It's hard to pick just one. First of all I adore all vegetables. But for specific "veg" food, I'd have to say it's a toss-up between tofu for its chameleon like ability to become whatever you want it to be and seitan for its wonderful texture and versatility. As a former restaurant chef, I especially like cooking with seitan because I can make all my old favorite sautéed dishes. My personal favorite is my book "The Vegetarian Meat & Potatoes Cookbook" because it was inspired by my desire to make familiar, great-tasting veg food for my husband, family, and friends. I've been gratified to learn that many people choose it to give to carnivorous friends and family in an effort to win them over. It's also been a favorite of folks on the way to going veg. Oatmeal with dried cranberries and a splash of soymilk. Yum. Summer is fading away... but it's still hot enough for frozen treats! 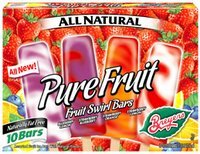 Breyers Pure Fruit Swirl Bars hit the market this season and they are wonderful! Each package of 10 bars contains blueberry-lemon, strawberry-blueberry, strawberry-orange, and strawberry-lemon flavors. And true to the name, the ingredients are pure fruit. These frosty vegan treats are just 45 calories, no fat and are widely available. Call me impressed. Good job, Breyers! 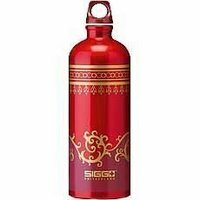 Thanks for making a product that is delicious, nutritious, inexpensive and can be purchased in my local grocery store. When I was growing up my family had a huge garden that produced dozens of cucumbers. 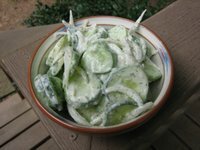 My mother canned batch after batch of pickles, but she also made a refreshing cucumber salad many nights of the week during the summer. My step-dad called them "Slimy Pickles" but I think "Cucumber Salad" is a bit more appetizing, don't you? 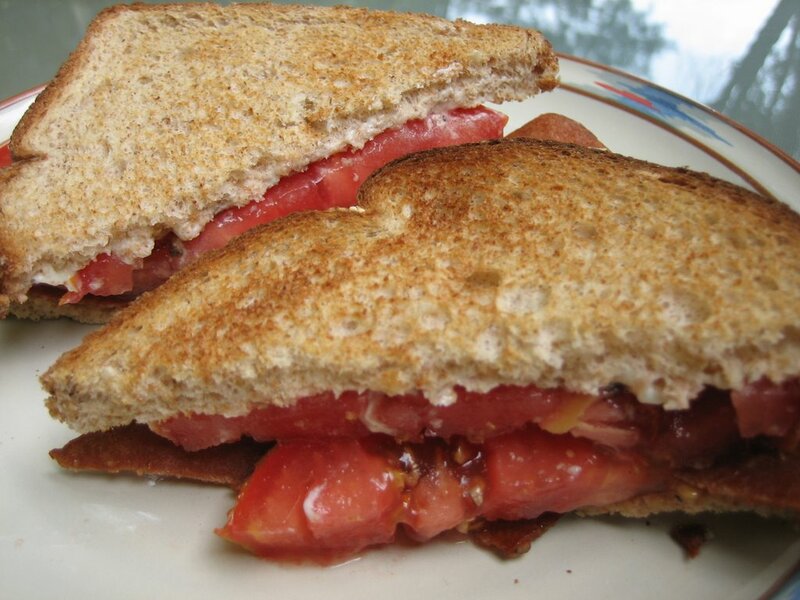 No matter what you call it, this tasty dish rounds out any summer meal. I've updated her classic recipe just for you. Enjoy! 1. In a medium bowl, combine all ingredients. Toss to coat. 2. Let sit at room temperature for 10-15 minutes. Stir again. 4. Eat up! This dish doesn't save well so lick the bowl clean. Leave it to the company who brought ultra-premium ice cream to the masses to come up with really yummy sorbet. Debuting this summer, Ben & Jerry's now has three sorbets* in their product line: Jamaican' Me Crazy, Strawberry Kiwi Swirl, and Berried Treasure. All are sweet, creamy, flavorful and have chuncks of real fruit. Delcious! In addition, all three are fat-free and low in calories. Unfortunately, all three flavors contain corn syrup, otherwise they would have recieved my highest rating. Nevertheless, I urge you to take a break from frozen dairy treats and try these fruity sorbets instead! Before you can start to cook you must have a plan! I start each week by making a menu and then creating a grocery list. After I buy groceries at the farmer's market, health food store and grocery store (whew! ), I can get cooking! You can make a week's worth of menus, too. Just break it down. Here's what I do. I often have more time to cook on Sundays, so I usually plan a Sunday Dinner for that night. 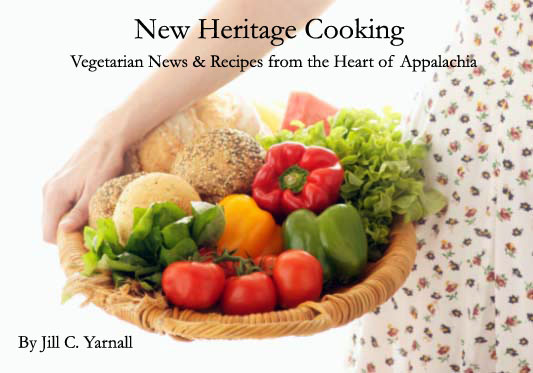 Think casseroles or a New Heritage Cooking style traditional Sunday Dinner -- soy sausage, a couple of veggies and cornbread or biscuits. Yum! In the summer, I love to create big salads for Monday night supper. In the winter, I serve soup, which I often make on Sunday afternoon. These quick Monday dinners are rounded out with whole grain rolls or bread. Classic beans and rice, stir fry tofu, beans and greens... the combinations are endless! Pasta is a quick and filling meal for midweek. And pasta can take a number of forms -- soba noodles with peanut sauce, rice noodles with Pad Thai, whole wheat spaghetti with marinara sauce. Yummy! Thursdays can busy nights at my house -- workouts at the gym, yoga class, and just being plain tired from a hectic week. Sandwiches fit the bill just fine. What's better on Friday night than a homemade pizza?! Top with low-fat or soy cheese and your favorite toppings, pop in the oven and 15 minutes dinner is ready! Look for pre-made crusts in your grocer's cooler case or freezer for a truly fast meal. Saturday night takes us out on the town or trying a new recipe. It's a fun way to wrap up a week of great eating. 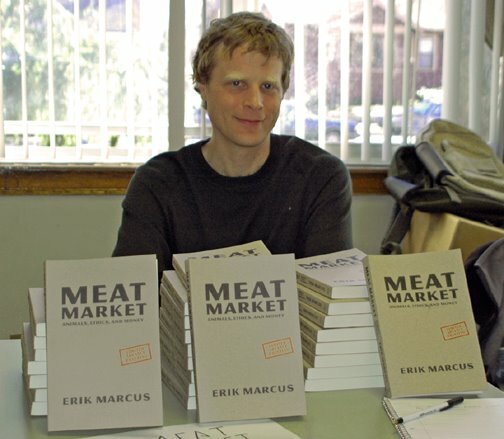 Erik Marcus doesn't consider himself a Veggie Hero, but countless others, myself included, sure do! He embodies his convictions in a very real way. Erik is the author of two important books, "Vegan: The New Ethics of Eating" and "Meat Market: Animals, Ethics and Money." He also works tirelessly keeping scores of listeners updated on animal issues via his popular podcast Erik's Diner. His passion to protect animals is evident in all his work -- and moreover it's motivating. He spurs people to action. If that doesn't make him a Veggie Hero, I don't know what does. Just last week, on my cross-country drive, I found an organic restaurant in Iowa, and the next day I ate a veggie restaurant in Laramie, Wyoming. Both of these places I found purely by luck. My mother typically goes out of her way to make entirely vegan meals. I adore grilled broccoli with soy margarine. I think every activist needs to read Peter Singer's "Ethics Into Action." Tofu less than a couple hours old beats everything. I love many of the great flavors of Kashi brand cereal so I was excited to try their newest product, Vive Probiotic Digestive Wellness Cereal*. This breakfast treat is the only shelf-stable probiotic food on the market and was released in late July. Designed to support the digestive system, Vive not only contains probiotics but it is high in fiber (12 grams per serving) and low in calories (170 calories per 1 1/4 cup serving). And it tastes good, too. Hints of vanilla and ginger mix with graham flavored flakes and bran twigs. Good stuff! I'm down with the flu... but check back next week for more news, product reviews, recipes and a Veggie Hero. Sarah Kramer just might be the hippest vegan in all of North America. Not only is this Canadian covered with great tattoos and has a fabulous wardrobe, but she's been veg since birth! 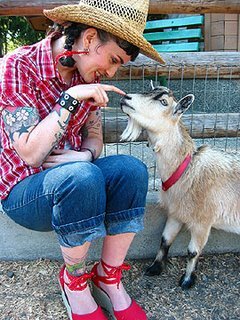 Sarah has created a cult following as author of "How It All Vegan" and "La Dolce Vegan." 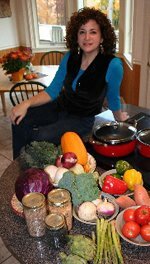 She continues to spread the vegan message far and wide through her Web site, blog and regular articles for VegNews and Herbivore magazine. My Mum. I was raised veg from birth. My cats inspired me to go Vegan as an adult. I wouldn't eat my cat... why would I eat a cow? Niagara Falls about 10 years ago. Oh my god… couldn’t even find a place to serve us spaghetti and tomato sauce. Nobody had plain tomato sauce!! We ended up at a Hard Rock Café and had a crappy salad with French fries. The best part of it was when the waitress beaned my husband in the head with a giant plate and left a welt. The manager came over and they made a huge deal about it… but didn’t even comp our meal, didn’t buy our drinks. Nothing… pffft. Japanese. There’s a great restaurant in Berkeley called Cha Ya. It’s my favourite restaurant in the world… best Japanese food I’ve ever eaten. 100% vegan restaurant too. Oooh. Tempeh for when I’m feeling macro. Tofu for when I’m in a hurry. It was my day off today … so my hubby made waffles and soy-sausages with a nice big cup of tea.